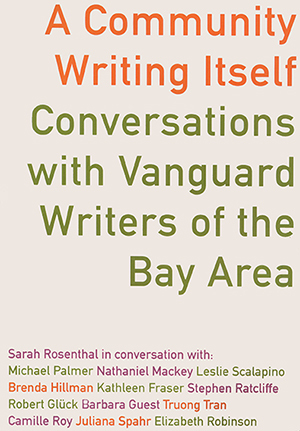 A Community Writing Itself: Conversations with Vanguard Writers of the Bay Area, edited by Sarah Rosenthal, Dalkey Archive Press, Champaign and London, 2010, 369 pages, $29.95 paper. 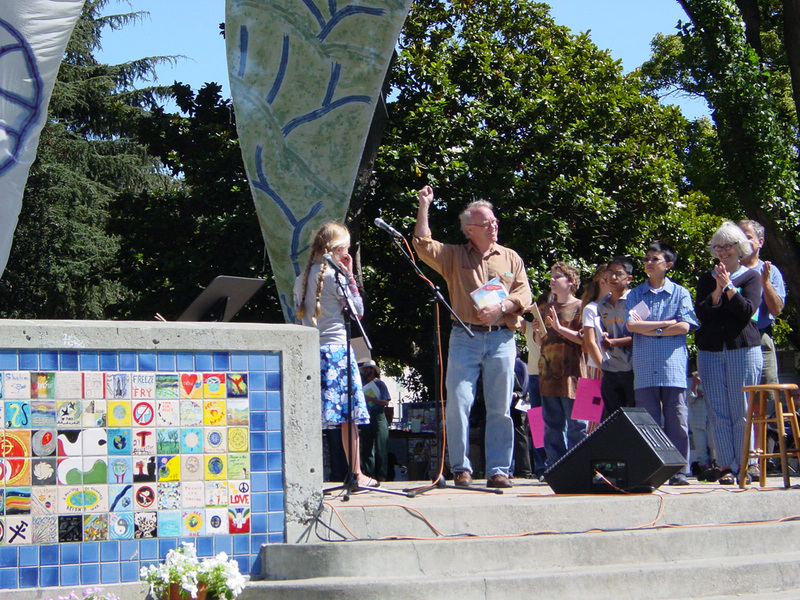 The Bay Area teems with poets of all genres and persuasions, but it's probably always favored the oddball, the free, the progressive. No wonder, then, that since the early 1970s it's become a world-class center for experimental poetry. Here's how Sarah Rosenthal puts it in her Introduction: "The Bay Area, along with New York City, is one of the two major centers of experimental writing in the United States. The Bay Area's long and vibrant history as a literary center (and one where unconventional activity is accepted and even encouraged), along with its large number of creative writing programs and its bounty of small presses and reading series, make it a magnet for experimental writers." (page 17) Rosenthal's Introduction includes as good a short history and characterization of the Bay Area's experimental scene as I've read. Beginning with Twain, Ambrose Bierce, Bret Harte, et al., she takes it up through Big Daddy Rexroth and the related Berkeley Renaissance, the Beats, and into the present. But just as the mid-century poetic revolution tends to get umbrella-ed under the Beats, experimental poetry is often subsumed in Language poetry. Rosenthal, however, teases out the variety and complexity of what was happening: "It's tempting to overemphasize the influence of the Language movement in the Bay Area thanks to the group's dynamic drive to propound a coherent position. The fact is, there were other vanguard poetry scenes, schools, and individuals during the Language heyday. The local literary scene in the seventies became more culturally diversified than ever, thanks to the birth of national cultural movements such as Black Arts and local organizations such as Kearney Street Workshop and Third World Communications Collective." (page 26) She touches on the poetry hive in Bolinas and on groups in active communication with the Language poets but who, nevertheless, had their own identities and directions, like the New Narrative school, the women poets clustering around Kelsey Street Press and those around the journal How(ever), as well as freelance experimentalists like Michael Palmer, Nathaniel Mackey, and many others. The body of the book, as its subtitle says, consists of conversations between Rosenthal and Bay Area experimental—she calls them "vanguard"—writers, twelve of them. 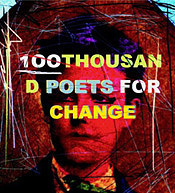 The bulk of these, ten, are poets; one, Robert Glück, is a short story writer, leading light of the above-mentioned New Narrative school, and the twelfth, Camille Roy, is both a fiction writer and a playwright. Ten of these writers are living and two, Barbara Guest and Leslie Scalapino have recently died, Guest in 2006 and Scalapino in May 2010. The twelve are, in alphabetical order, Kathleen Fraser, Robert Glück, Barbara Guest, Brenda Hillman, Nathaniel Mackey, Michael Palmer, Stephen Ratcliffe, Elizabeth Robinson, Camille Roy, Leslie Scalapino, Juliana Spahr, and Truong Tran. Those names certainly include some of the most brilliant experimental writers in the Bay Area, Kathleen Fraser, for instance, who was one of the directors of The Poetry Center at San Francisco State, a founding editor of How(ever), mentor, almost a fairy godmother, for so many innovative women poets; Michael Palmer, an independent innovative writer allied with the Language poets, whose strong national reputation is probably equaled by his international reputation in France, say, or Russia, and whose poetry works in indeterminacy, writing—if I may so characterize his work—in the Elysian voice of No One; Brenda Hillman, who began as a mainstream poet and moved, thanks to her friendship with Lyn Hejinian and other vanguard writers into the ranks of the experimentalists at mid-career, carrying the sparkle of her lucent, childlike sense of play across the 'divide' with her. I'm picking these three out of the twelve almost at random; they're all significant and striking in their work, aims, and histories, a good sense of which can be gleaned in their interviews. And this is definitely a rich, eclectic, multi-directional group of interviews. The twelve are nothing but articulate, intelligent, impassioned; they impart a trove of history, writers' lore, craft and concept, and each opens out his or her own individuality, endeavor, and spirituality. Rosenthal is the quiet force, farmer and harvester, of this abundant book. She obviously had, as she says in her introduction, immersed herself in each writer's work for months before each session. She's informed, smart, probing, empathetic. And she ends each interview with the question about the writer's relation to the Bay Area scene as a whole. So if you've got a yen to explore Bay Area experimental writing, this is a great entry, a way to hear all about it, straight from the horses' mouths.